Updated 02:06 p.m., Saturday, August 6, 2011. CARACAS, Venezuela (AP) — Legislators have granted Venezuelan President Hugo Chavez permission to return to Cuba for a second round of chemotherapy for his cancer. 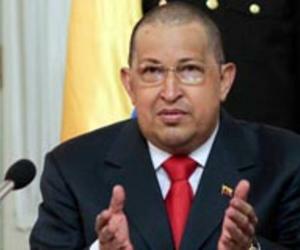 The 57-year-old Chavez announced Friday that he planned to go to Cuba this weekend after getting legislative approval. He is scheduled to undergo medical tests Sunday and Monday. He underwent surgery in Cuba in June to remove a tumor from his pelvic region. He has not disclosed what kind of cancer was found. National Assembly President Fernando Soto said lawmakers voted unanimously during a special session Saturday to give Chavez authorization to leave the country.